Country Summary: The United States and Ecuador have been partners under the Hague Abduction Convention since 1992. In 2016, Ecuador demonstrated a pattern of noncompliance. 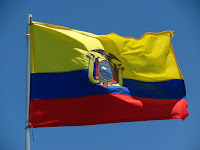 While the Ecuadorian Central Authority improved its performance and responsiveness in 2016, the judicial and law enforcement authorities in Ecuador persistently failed to implement and abide by all of the provisions of the Hague Abduction Convention as evidenced by delays of over nine months in locating abducted children and judicial delays. As a result of this failure, 11 percent of requests for the return of abducted children under the Convention have remained unresolved for more than 12 months. On average these cases have been unresolved for 13 months. Ecuador has been cited as non-compliant since 2014. Central Authority: While the United States and the Ecuadorian Central Authority have a cooperative relationship, periodic delays in the processing of cases and inconsistent communication impacted the timely resolution of Convention cases. In 2016, the Ecuadorian Central Authority improved its performance and responsiveness. However, the Department still encountered occasional delays in obtaining updates from the Authority. Location: Ecuador demonstrated a pattern of noncompliance with the Convention as a result of failure by the competent authorities to promptly locate a child after a Convention application was filed. The average time to locate a child was nine months and 23 days. As of December 31, 2016, there were three cases where the Ecuadorian authorities had taken a lengthy period of time to locate abducted children. In one of the three cases, authorities have been unable to successfully locate a child since in January 2013. Ecuadorian authorities failed to conduct vigorous follow-up activities to locate children whose taking parents attempt to evade the police. In Ecuador, cases cannot proceed to court until the children's locations are confirmed. Judicial Authorities: The Ecuadorian judicial authorities demonstrated a pattern of noncompliance with the Convention due to serious delays in serving summons on alleged taking parents. Cases are generally pending with the judiciary for more than 16 months. Enforcement: Unless a parent voluntarily complied with a return order under the Convention, judicial decisions in Convention cases in Ecuador were generally not enforced. Moreover, there is one case (accounting for 11 percent of the total cases filed with the FCA) that has been pending for more than 12 months where law enforcement failed to locate the child. Department Recommendations: The Department will intensify engagement with the Ecuadorian authorities to address significant issues of concern and expand public diplomacy activities related to the resolution of cases. The Department will also encourage training with judicial and administrative authorities on the effective handling of international parental child abduction cases. The Department also recommends an emphasis on preventing abductions.